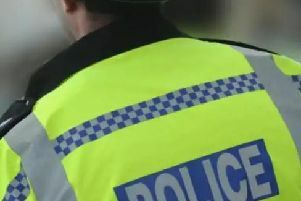 A 17-year-old girl was stabbed in her stomach and kicked up to 15 times by an unknown attacker as she walked along a redway. The offender struck from behind and pushed the teeanger to the ground at 6pm last Friday. He stole nothing and ran off in the direction of Great Holm fire station. The victim, who was on the redway between Crownhill Crematorium and Great Holm, sustained a one-inch shallow puncture wound to her right abdomen and heavy bruising to her stomach. She did not require hospital treatment. The offender is white and was wearing a black hood. Investigating officer, PC Daniel Clayton-Drabble said: “This was a totally unprovoked attack on a teenager walking along a redway. “This is totally unacceptable in Milton Keynes and we are working hard to find the offender. “We are appealing for anyone with any information relating to this assault to please call the 24-hour Thames Valley Police enquiry centre on 101.